Shane Ramer is the creator and host of ThatSoberGuy.com and Sober Guy Radio. He also created, produces, and hosts a corporate podcast for a CA fortune 500 company. 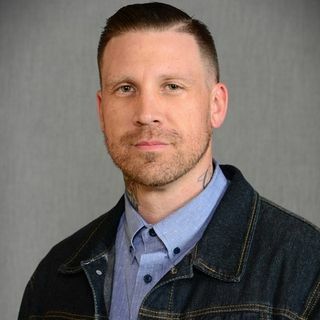 In September 2013, after a long battle with addiction, Shane checked himself into a 30-day rehab facility and has remained clean and sober ever since. In 2014 Shane created ThatSoberGuy.com and Sober Guy Radio, which focuses on sharing personal experience and offers resources to help those struggling and recovering from alcoholism ... Más informaciones and addiction. Longtime friend and co-host Seth Manter officially joined the show in 2018 after many guest appearances. Shane and Seth bring a unique, open, honest, and sometimes comical approach to addiction recovery. The Sober Guy platform continues to grow with weekly Friday and Tuesday podcasts that reach listeners across states and continents. Featured guests have included musicians, athletes, doctors, writers, producers, professionals in the treatment industry, and many more. Shane is married to his wife Jessica of 16 years. They have a daughter Lucy, son Cash, and live in Northern California.